Kalpak Travel would like to introduce you to Turkmenistan – a fascinating country like no other. 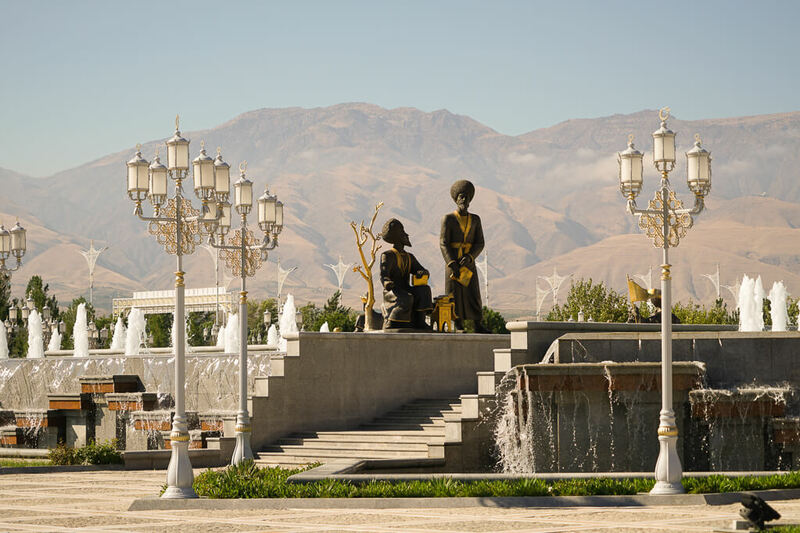 In one week we take you to the country’s most interesting historical, natural and architectural highlights: You will visit the marble city of Ashgabat, the ancient ruins at Merv and Gonur Depe, camp next to the burning gas crater known as “Gate of Hell”, visit Yangykala Canyon, go swimming in a luxury beach resort on the Caspian Sea as well as in an underground lake and you will get acquainted with rural life in the mountain village of Nokhur. 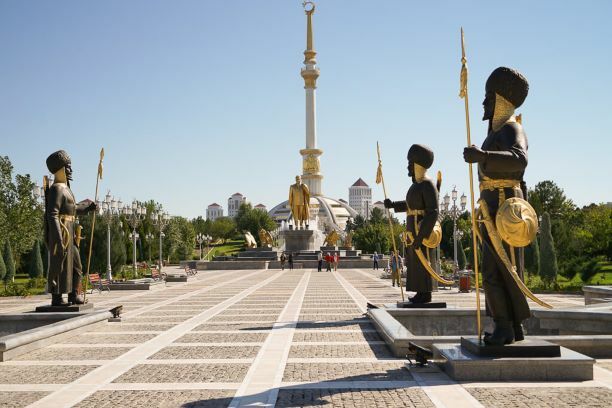 Turkmenistan is a country full of amazing contrasts and on this tour, you will see them all. In the early morning arrive to Ashgabat, for example with Turkish Airlines flight. After customs formalities meet Turkmen guide/driver. Transfer to hotel in Ashgabat for rest. 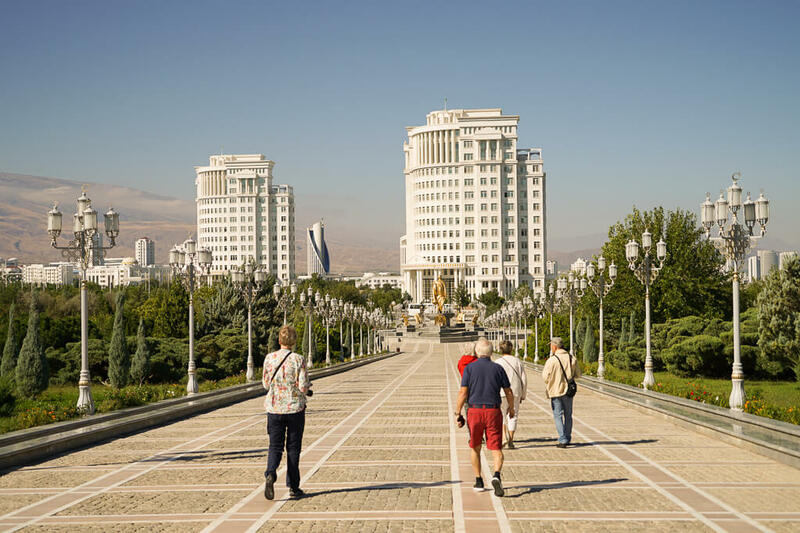 After breakfast in hotel start sightseeing of Ashgabat, visit independence-period parks and monuments, including the Park of Independence, Neutrality Square, and some others. 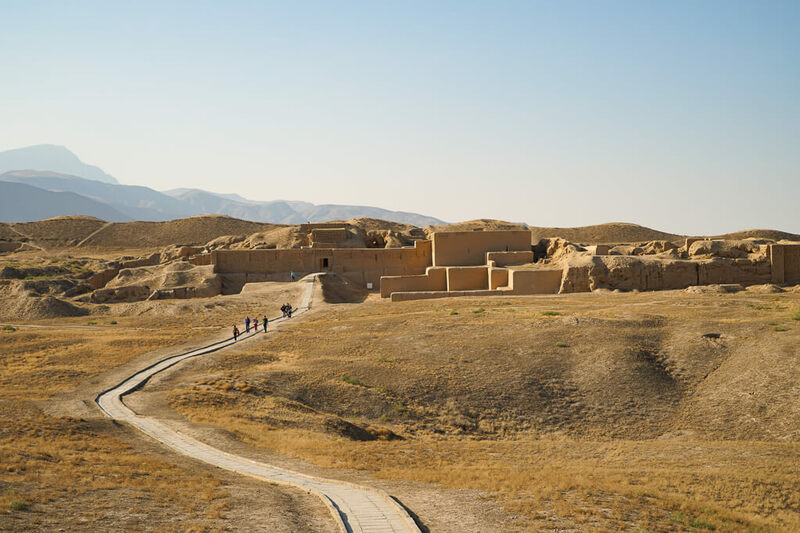 Tour today also includes visits to Old Nisa fortress (UNESCO site) and Turkmenbashi Ruhy mosque and mausoleum and visit National Museum of history and ethnography, whose halls are dedicated to various themes and historical periods. 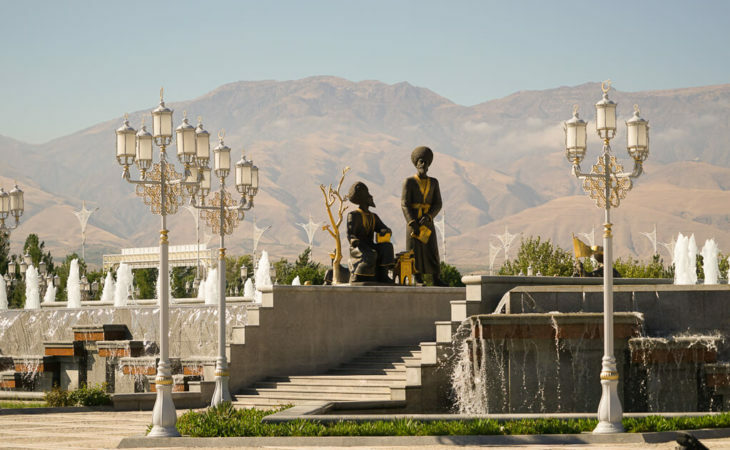 Demonstrating a rich collection of artifacts from all over Turkmenistan, including ivory rhytons from Old Nisa, the museum will also offer us reconstruction models of most of the sites that we are going to visit. Welcome dinner in a nice restaurant in the city center. In the early morning take a flight to Mary (40 mins). On arrival, drive to Gonur Tepe/Margush (100 km including 40 km off road). 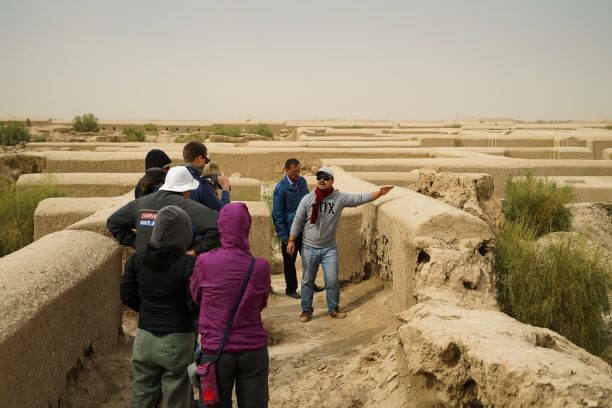 Here first agricultural settlements appeared in the delta of Murgab River as back as 3 millennium BC. 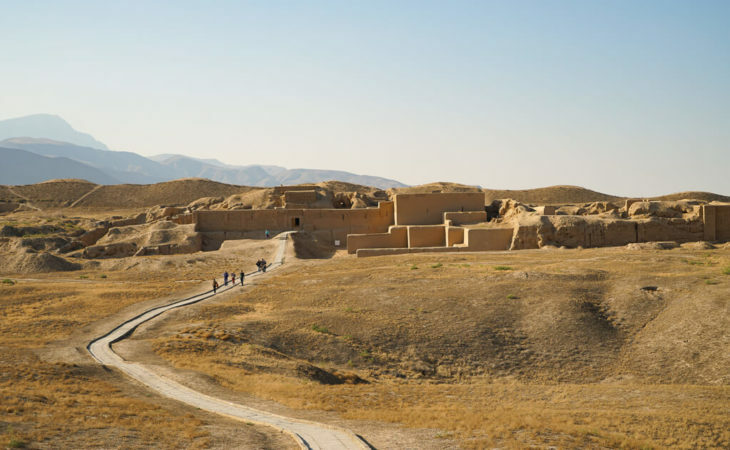 Fertile silt coming from mountains, abundance of water and moderate climate had created favourable conditions for good crops and the progress of the ancient economy was continuing for several centuries. The American newspaper “Boston Globe” wrote that before we knew the four oldest centers of the world’s civilizations: Mesopotamia, Egypt, India and China, and due to the fantastic results of the Margiana expedition it is quite possible to think that there was another, the fifth center. Picnic lunch. Later drive back to Mary. After breakfast, we head 25 km to the east of Mary, towards Bayram-Ali, the contemporary re-incarnation and humble suburb of the glorious Ancient Merv (UNESCO World Heritage Site). 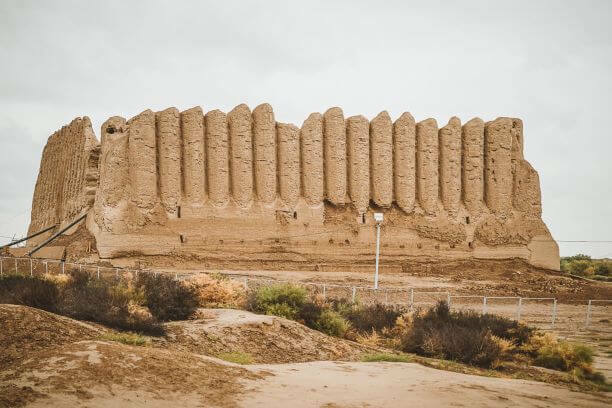 One of the major archaeological sites of Central Asia, Merv played an important part in the development of the Silk Road for more than 2 000 years. Within the limits of the archaeological park, which is 1200 ha, we will have a chance to observe all constituent parts of the “wandering city”. A series of adjacent cities, which can be roughly divided into the ancient (Erk Kala and Gyaur Kala), the medieval (Sultan Kala with its suburbs), and post-medieval (Abdulla-Khan Kala and Bayram-Ali-Khan Kala), appeared in the course of time as a token of the natural progress of the city from initial stages of its existence to a more advanced level. Besides remnants of the cities of Merv, we will visit the VI-IX cc. AD forts of Big and Little Kyz-Kalas, excellent examples of the so-called corrugated Koshks; the splendid XII c. mausoleums of Sultan Sanjar and Muhammed ibn-Zeyd. After sightseeing, we drive back to Mary where we will have lunch. In the afternoon we visit the local history museum and do some sightseeing in Mary. 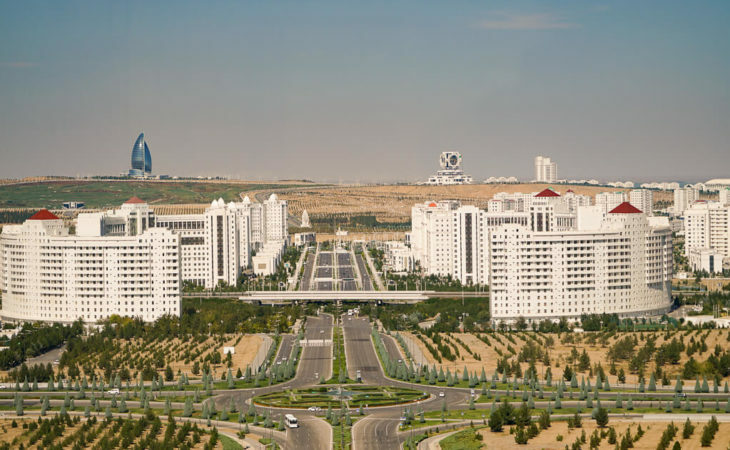 In the evening we take a return flight to Ashgabat. 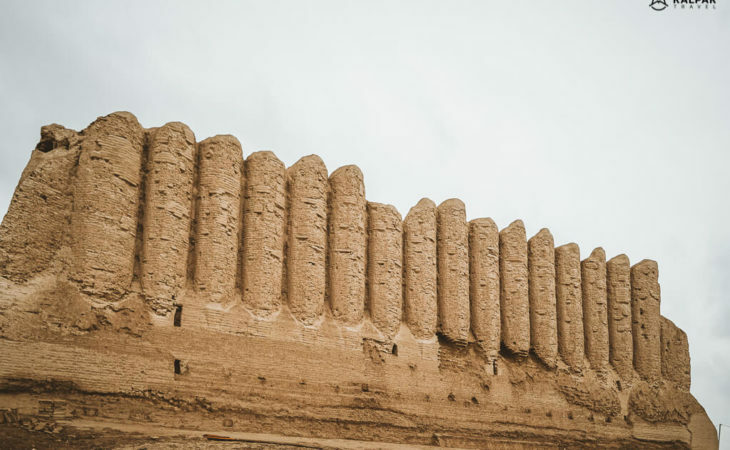 Just 40 minutes drive by car from Ashgabat we visit Geokdepe fortress. This site includes the remains of the ancient fortress Geokdepe (Green Hill) and modern Mosque Geokdepe. 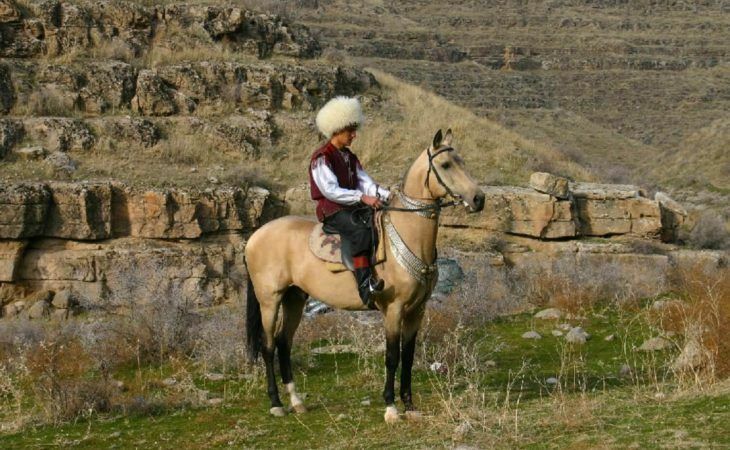 Geokdepe is a fortress from the 19th century, from there we will drive 1 km further to a local private stud farm, where we will have a look at fabled Akhalteke horses of Turkmens. 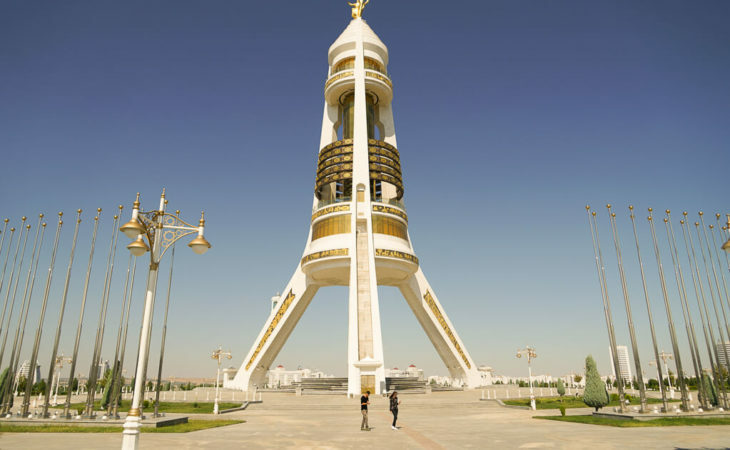 Back in Ashgabat we will have lunch before heading north to the burning gas crater at Darvaza. 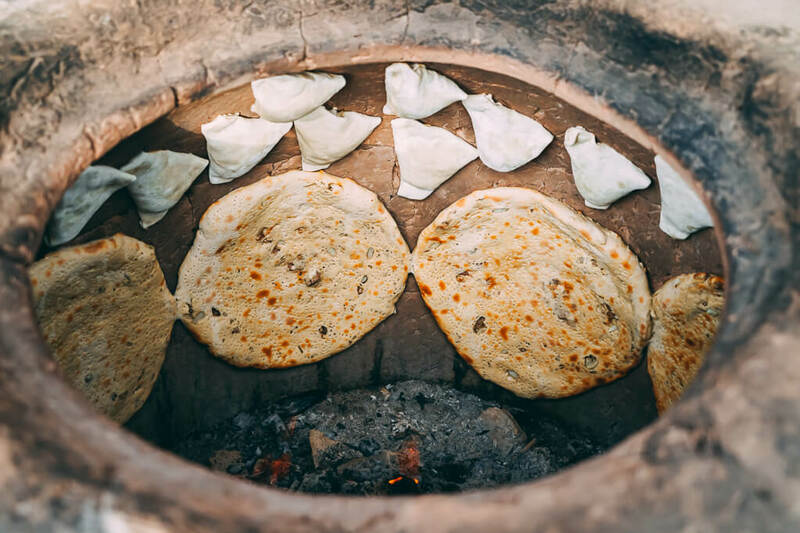 On the way we might also visit Erbent desert village and two more craters, both bubbling with natural gas seeping from underground – one with water and one with mud. Upon arrival, we find ourselves a couple of hundred meters away from the flaming crater. 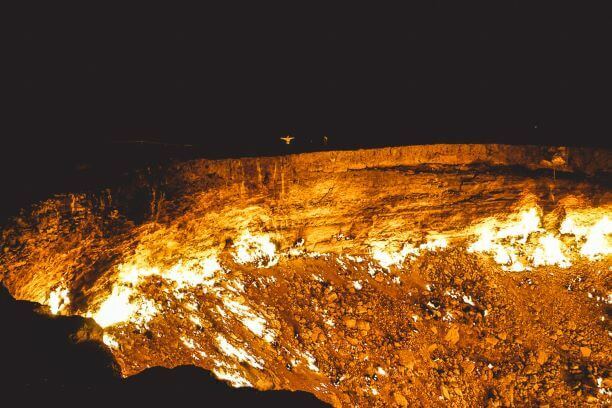 As the sun sets, the simple whole of the crater turns into what may seem a front door to hell, a fire temple or any other mysteriously spectacular place that a romantic’s imagination may associate with fire. Dinner and overnight in tents near “Door to Hell” (wild camping). After early breakfast, we drive back to Ashgabat, where we have lunch. In the early afternoon, we take the flight to Turkmenbashi, city at the Caspian Sea. 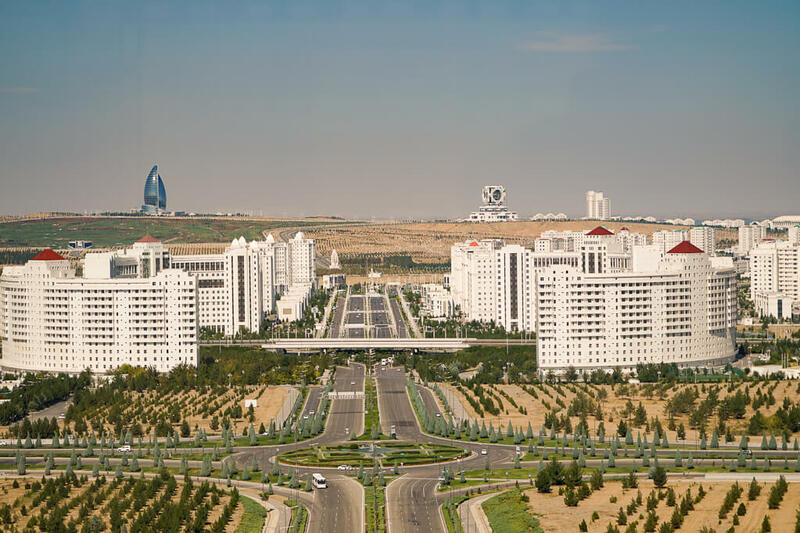 Upon arrival in Turkmenbashi we will visit a local market and then transfer to modern Awaza Caspian Sea resort, just 12 km west of Turkmenbashi city. You can relax at the beach. Today morning after breakfast, we drive to one of the most spectacular attractions of the entire country – Yangykala Canyons. 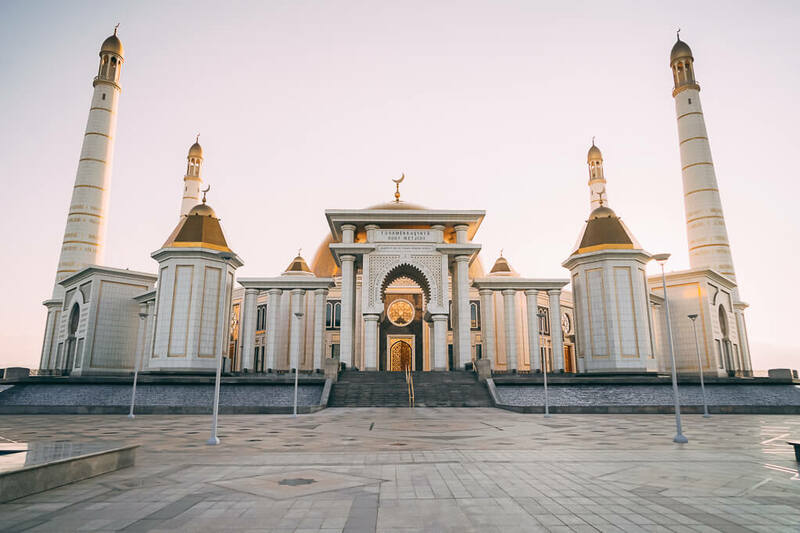 On the way, we visit the Gozli Ata, one of Turkmenistan’s remotest shrine pilgrimage destinations. Its setting is also among the most beautiful. 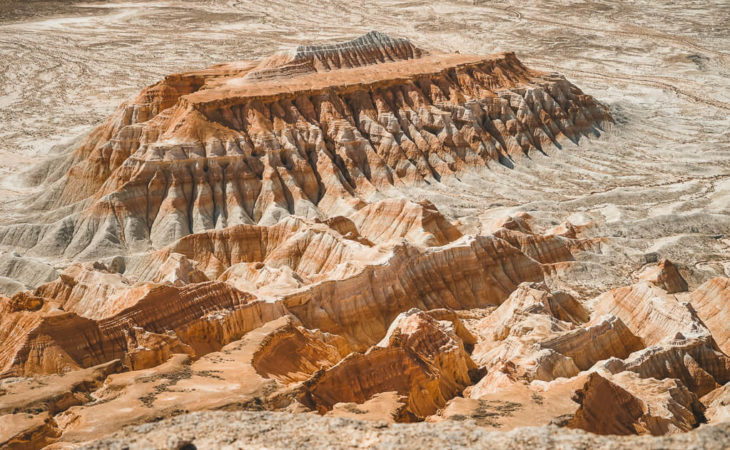 It lies in the center of a natural bowl, surrounded by escarpments of bands of pink and white rock. Gozli Ata was reportedly a respected Sufi who lived in the early part of the 14th century. Upon arrival at the red and orange colored Yangykala Canyons we enjoy the view and have a picnic on top of the Canyon. In the afternoon we drive around 4 hours further to the city of Balkanabat, where we stay in a hotel for the night. Today is another long driving day back to Ashgabat. On the way we stop at the truly unique mountain village Nokhur. 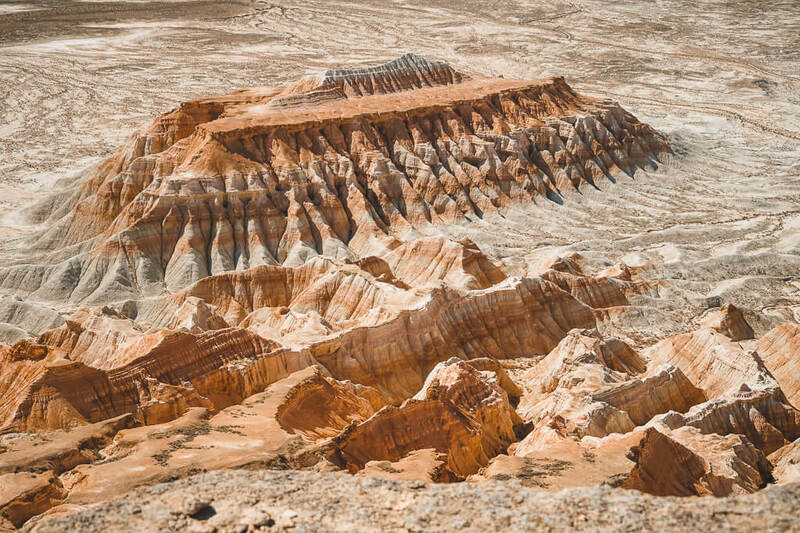 Rich in history, nature and tribal customs, Nokhur is set 1,100 m above the Karakum Desert in the cool mountain valleys of southwestern Turkmenistan. The Nokhur people have maintained a highly homogenous society based upon ancestral rights, and tribal customs. 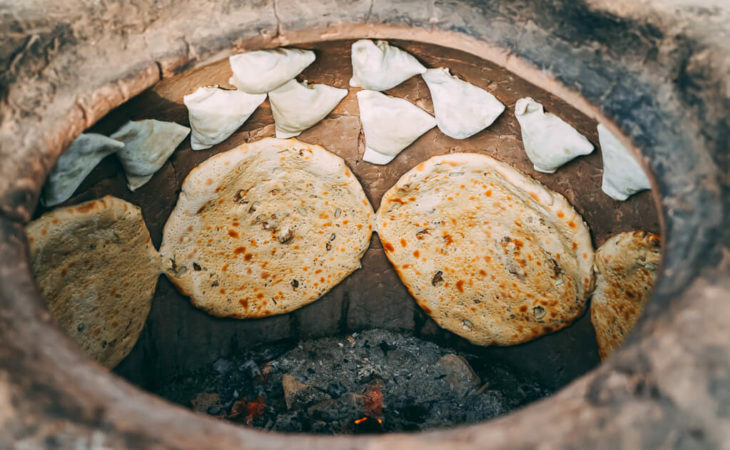 We will explore the village and have lunch in the house of local family, living among the orchards high on the slope of the local mountain, offering spectacular view of the Nokhur village. In the afternoon on the way to Ashgabat we make one more stop at the underground lake Kow Ata. 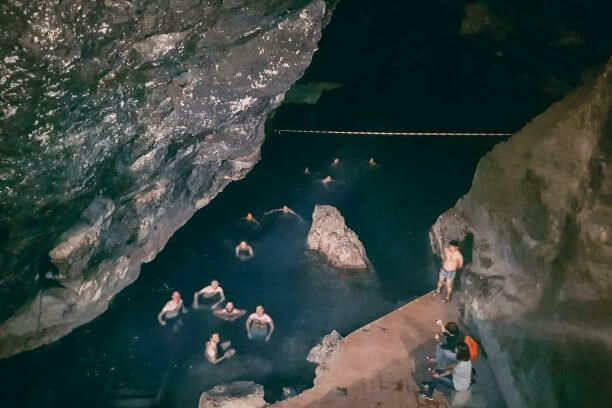 The lake is an unusual natural site in the biggest cave of the Kopetdag Mountains. Located 52 meters underground, the lake is 72m long and 30m wide. The water has a constant temperature of 33-37° Celsius. 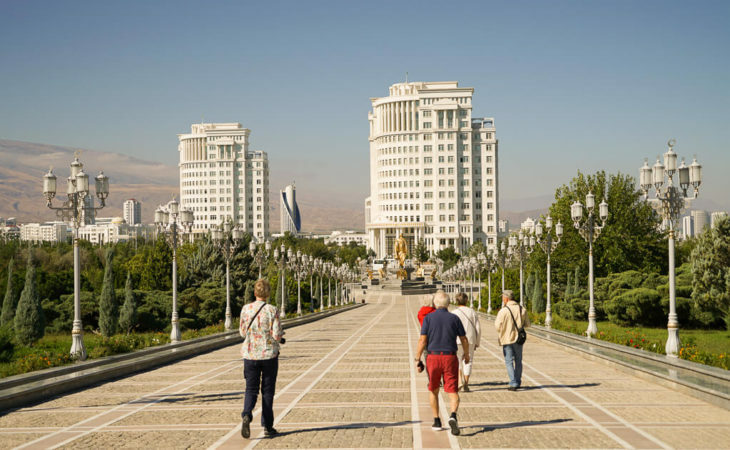 We will go swimming and then drive further to Ashgabat, where we plan to arrive just in time for farewell dinner. Transfer to airport for departure flight back home. The Turkmen currency is called the Manat. In Ashgabat you may find ATMs that accept international payment cards. VneshEkonomBank for example accepts Visa credit cards. However, most ATMs accept only local cards issued by Turkmen banks. Credit cards may be accepted in few high-end hotels, but most stores and restaurants do not accept any cards. We recommend bringing all money in cash, in new USD bank notes of denominations of at least 20 USD. They will be easy to exchange. An emergency fund of around 500 USD in cash is always good to have during guided trips to Central Asia. 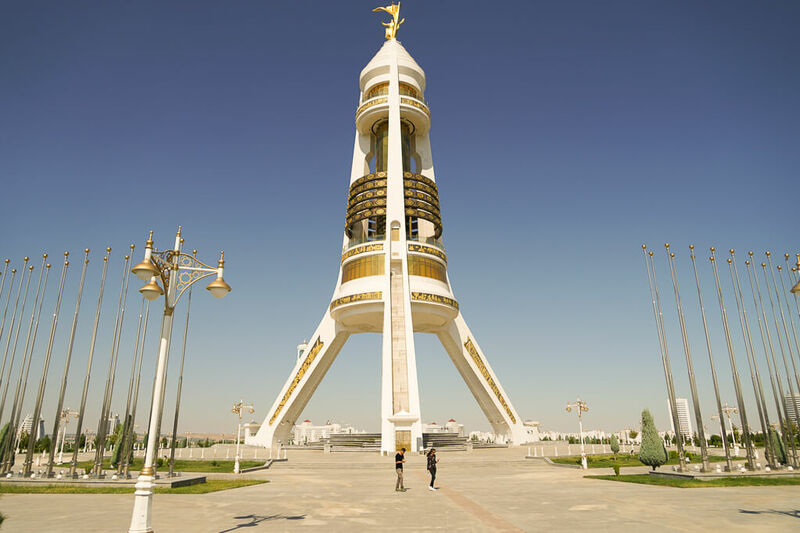 Turkmenistan is a safe country and most trips are trouble-free. There is a visible police presence and most citizens are law abiding. That said, you are advised to wear a money belt, watch your belongings, steer clear of dark streets at night and avoid taking rides in unofficial taxis alone. 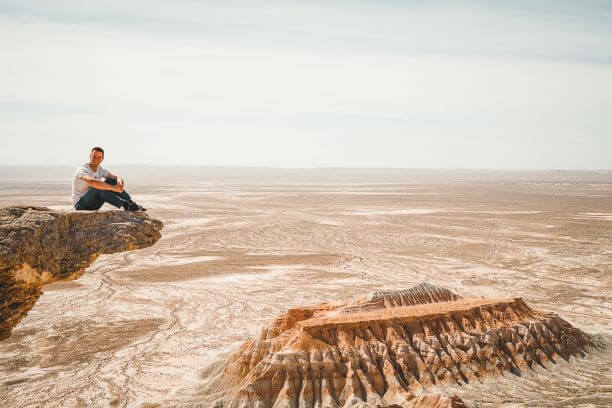 Your safety is our first priority at Kalpak Travel; we know and regularly assess all our Turkmen partners and we closely monitor political events. 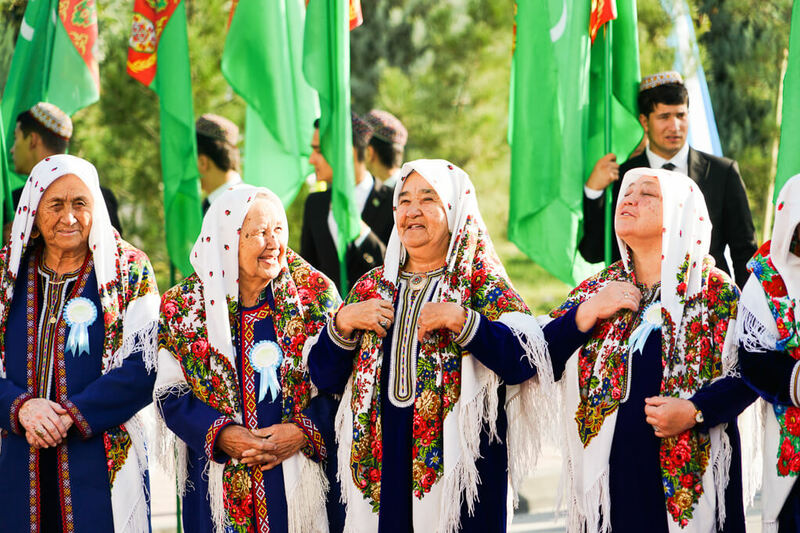 Citizens of every country in the world need a visa to enter Turkmenistan. As soon as you book a tour, we will ask you to provide some additional information to apply on your behalf for a letter of invitation. If the Ministry of Foreign Affairs approves your application, we will send you the letter of invitation. 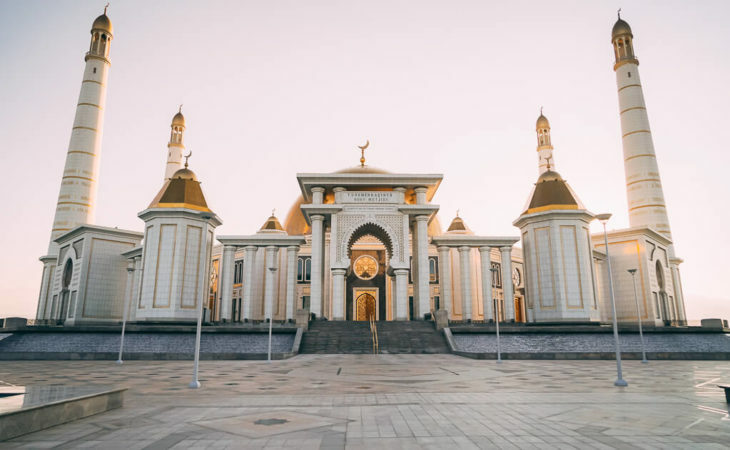 With this letter, you will be able to purchase the visa on arrival at Ashgabat Airport. Please note: your application for a letter of invitation may be rejected by the Ministry of Foreign Affairs of Turkmenistan. Please do not book any flights or other non-refundable travel services before your letter of invitation is approved. As soon as we receive the deposit payment for your tour, we will confirm your booking and send you an email with important pre-departure information. Please read it carefully as it contains important information on customs regulations for Turkmenistan. 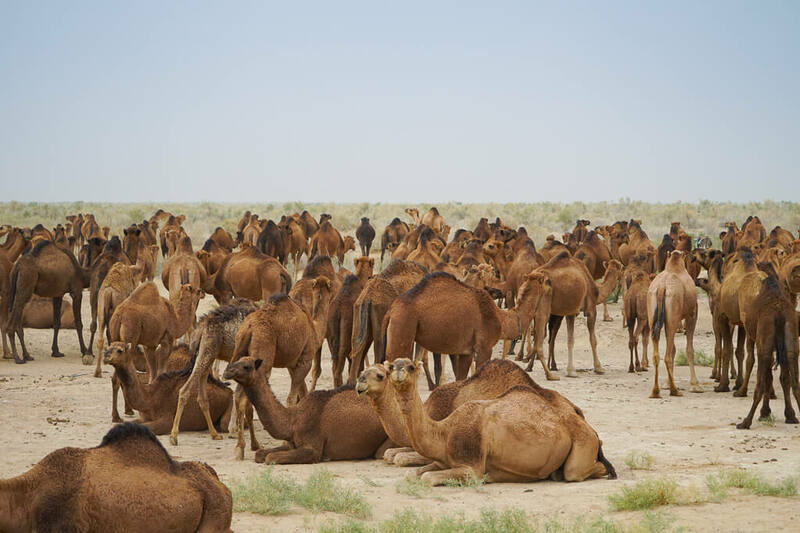 The climate of Turkmenistan is continental and dry and the best seasons to visit are spring and autumn, from mid-April until early June and then again from September until early November. Autumn is drier than spring, but even in spring chances are high you can enjoy the bluest sky you have ever seen. Autumn is also the time when the country goes to harvest, meaning markets are full of fresh fruit and vegetables. If you don’t mind dry heat of 40° Celsius, sometimes more, summer is the best time to go. There are few tourists and the sun is shining every single day. If you are considering visiting Turkmenistan in winter you will practically have the country all to yourself. 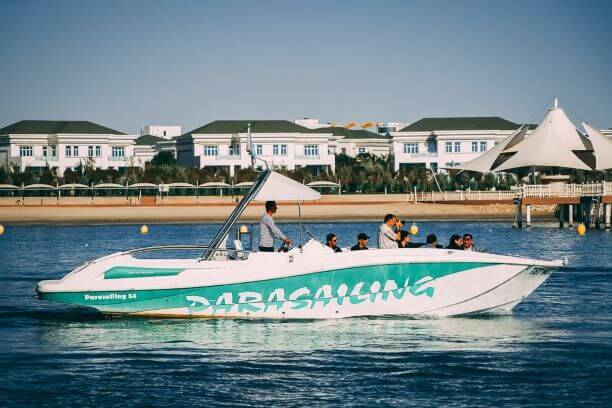 We recommend you go in November or December, when daytime temperatures are still around 10° Celsius and the often chilly winds of January & February have not yet begun to make their presence felt. Do not drink water, unless it is bottled, filtered or boiled. Do not use tap water for brushing teeth or making ice either. Do not eat ice cream. Only eat well-cooked meat and fish, preferably served hot. Vegetables should be cooked and fruit peeled. If you follow these basic rules, you are likely to avoid any health issues like traveller’s diarrhoea. 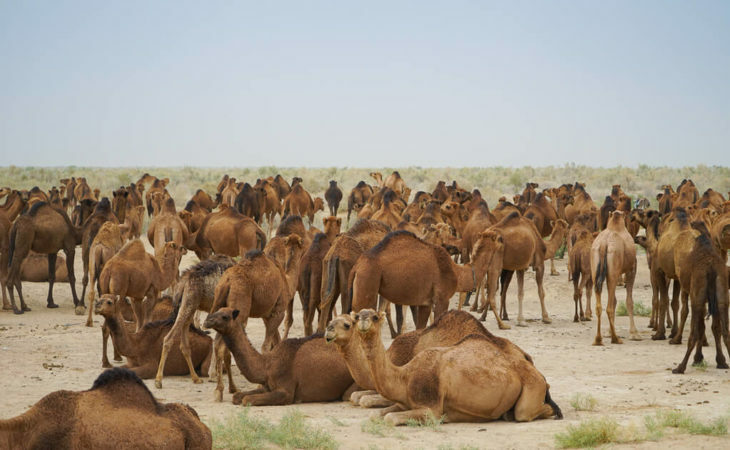 Diphtheria, Hepatitis A and Tetanus are recommended vaccinations for Turkmenistan. Ensure you are fully insured for medical emergencies including repatriation. 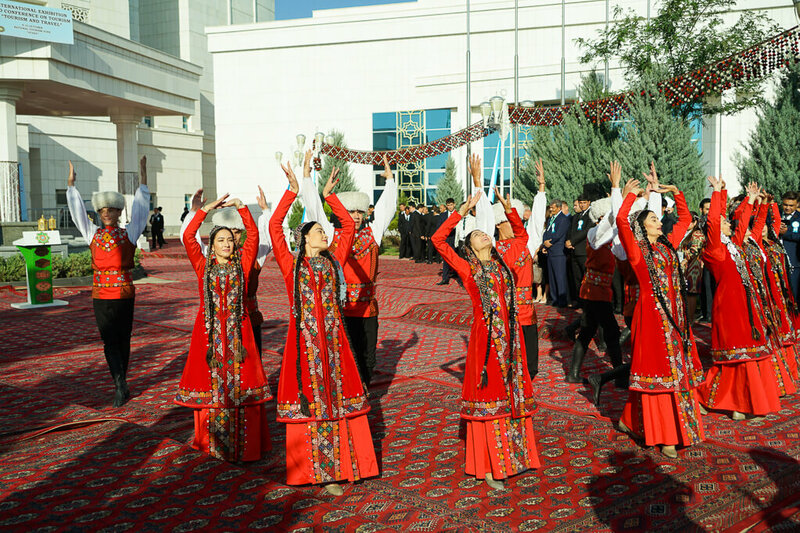 Medical services in Turkmenistan are basic at best. We are an older couple in our 70's who enjoy unusual trips. 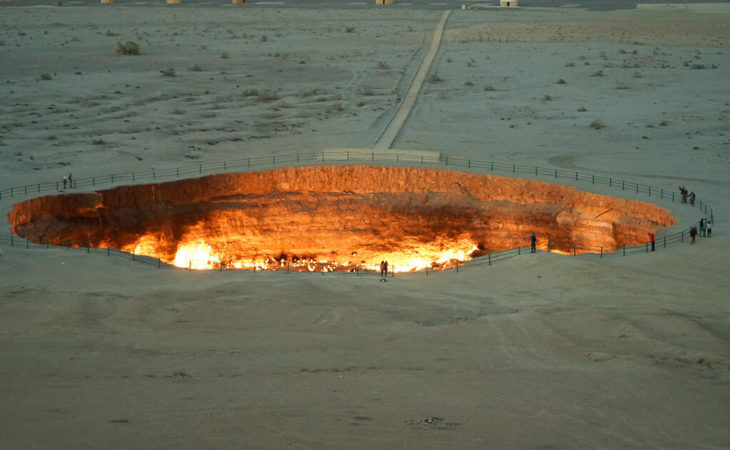 I was interested in sleeping in a yurt (which we did in Kyrgyzstan) and seeing the Gates of Hell in Turkmenistan. Wife wasn't wild about the yurt until she stayed there as it turned out to be very pleasant. The Gates of Hell was a little different. A pup tent was our housing - no electricity or plumbing, but hey, it was a tent. But the fire-y cauldron was an unforgettable sight!! Really enjoyed it. Luca sent reams of information to me and even had a Skype conversation with us to make sure we had everything that we wanted. He really went out of his way to plan everything right. My wife and I had a car and driver at each location. The drivers were very conscientious and friendly and the guides were excellent. 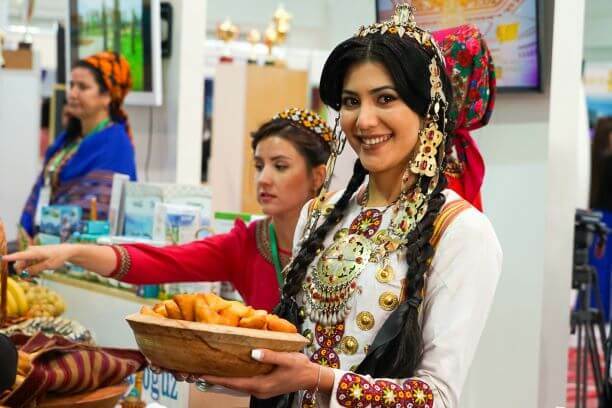 I would certainly recommend Kalpak Travel if you are looking for a trip to Central Asia. We had a wonderful 3.5 week trip through the 5 Stans. I feel like I've seen the highlights in case I don't get the opportunity to return, but I most certainly DO want to return and see more. These are the warmest and most welcoming people I have every encountered. My regret is that Luca does not arrange trips for other parts of the world, as I truly enjoyed every minute of working with him, and would love to do so again. SUPERLATIVE service. I have just arrived from an incredible trip to Central Asia in a group of 6 people from different parts of the world. It was an amazing and wonderful experience. I've been in places I've never imagined before, with beautiful scenery, hiking, bathing in the lake, picnic and many mosques and places that are UNESCO world heritage, with lots of history. And all this done through the agency KALPAK TRAVEL, which I had the great pleasure and luck to find in a survey made online. They were from the beginning, extremely solicitous, kind and whenever I needed they were there to help me. From the help with the purchase of my air ticket, to the details of the necessary visas, and to several questions that I had before the trip and that were always answered with a lot of education, patience and dedication. And I can say with total conviction that they are very prepared, they love what they do and it makes a lot of difference on a trip like that. 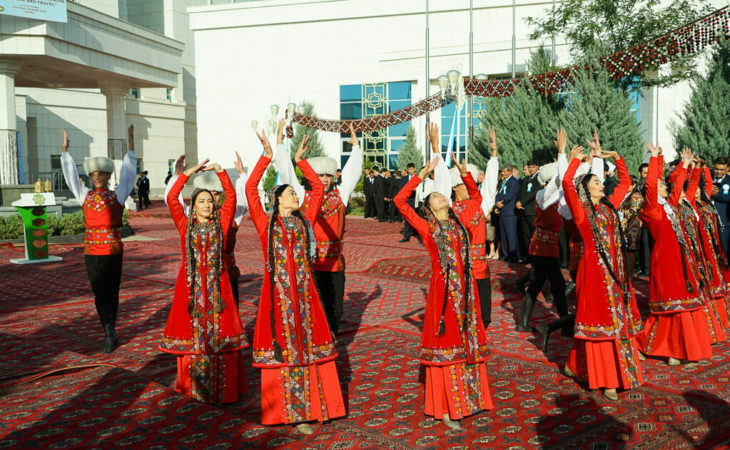 We had a fabulous 13-day tour of Central Asia - Kazakhstan, Tajikistan, Kyrgyzstan, Uzbekistan and Turkmenistan - in May/June. Luca, the owner of Kalpak Travel, has been very reliable and committed to giving excellent service. He was constantly keeping in touch during our trip to ensure that everything was running smoothly.The guides in each city spoke excellent English and were extremely informative on all aspects of Central Asia. We were very lucky to have Kalpak Travel as our tour company which exceeded our expectations with flying colours. 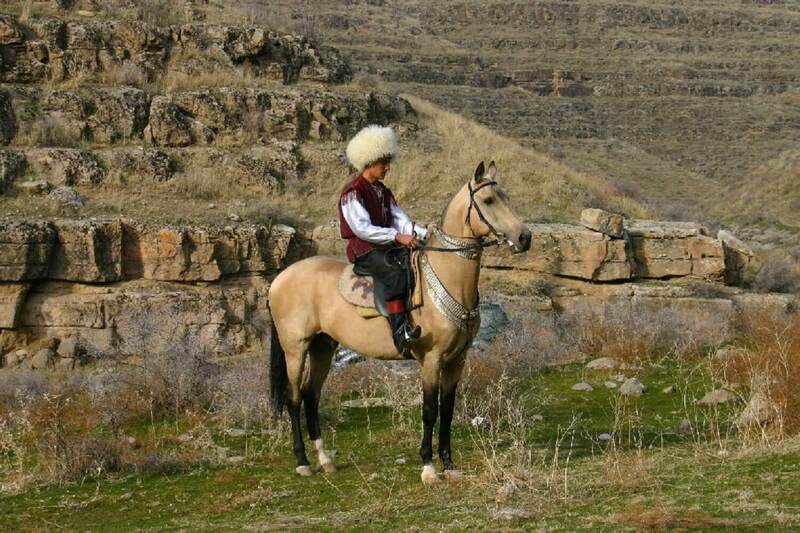 We highly recommend Kalpak Travel if you are planning a hassle-free tour of Central Asia.